EURUSD is under the influence of Consumer Price Index in Germany and the positive inflation data in Germany. 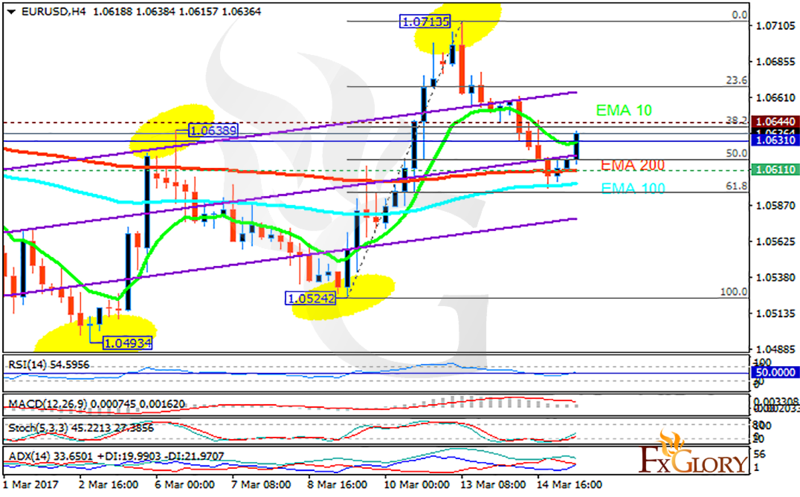 The support rests at 1.06110 with resistance at 1.06440 which the weekly pivot point at 1.06310 is located in between the lines. The EMA of 10 is moving with bullish bias along the ascendant channel and it is above the EMA of 100 and 200. The RSI is rising above the 50 level, the Stochastic is showing upward momentum and the MACD indicator is in positive territory. The ADX is showing buy signals. As the pair has already reached the 61.8 level of Fibonacci, the resistance level breakout will be a good chance for buyers to target 1.068.